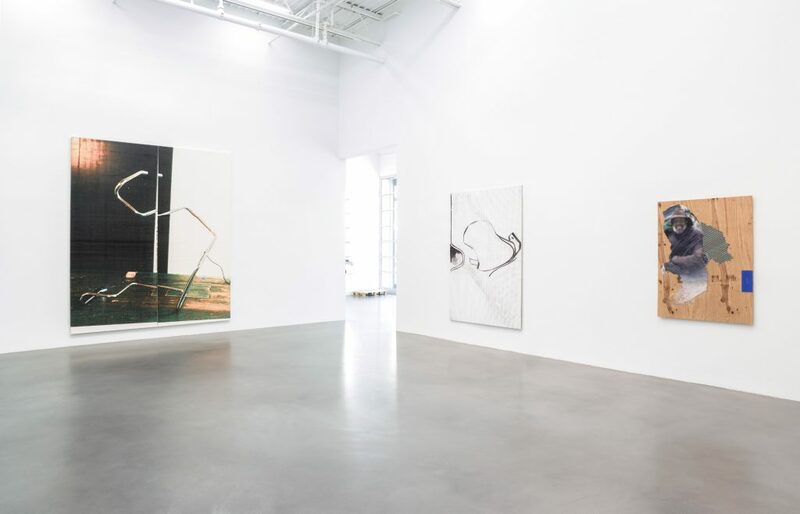 Petzel Gallery is pleased to announce Fine Young Cannibals, a summer group exhibition, running parallel to Wade Guyton and Stephen Prina’s annual collaboration. Robert Rauschenberg’s work might be the matrix for Hochdörfer’s assessment; his influence is certainly ubiquitous in contemporary art. Nonetheless, consideration can also be placed on the self-referential nature of paintings—whether or not they attempt to articulate their own constructedness as motif and motivation. Art historian David Joselit, co-curator of Painting 2.0, writes in an essay on Jacqueline Humphries that her affective gesture is a “picture”, a representation of itself. 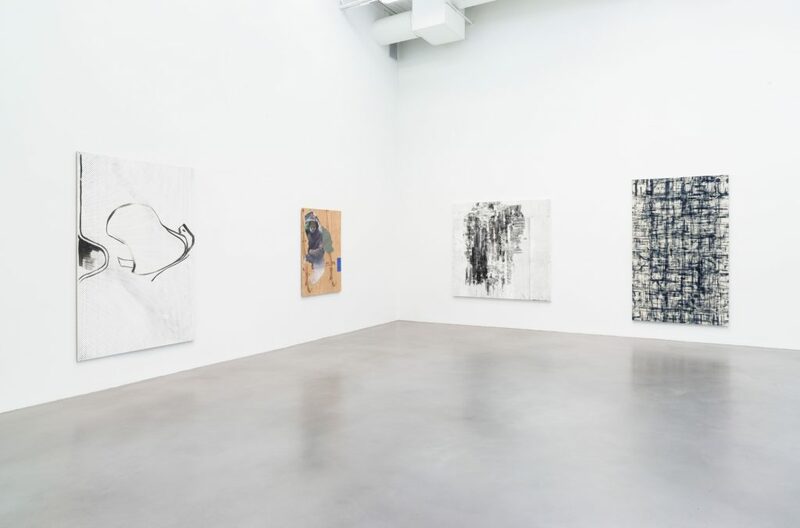 Fine Young Cannibals comprises a group of artists who further this discussion: Christopher Wool’s painting (2007) derives from various technical maneuvers to re-stage (or blow-up) an earlier drawing; Rudolf Stingel’s do-it-yourself painting (2015) demystifies the creative act altogether, while Martin Kippenberger’s rubber paintings include cast protrusions of earlier painting motives (a revamping in 3D from 1991). 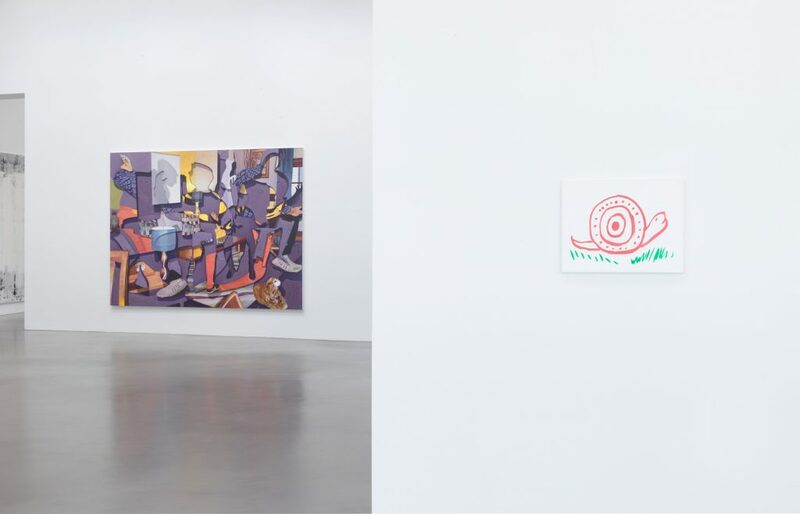 Wade Guyton’s inkjet printer is no more a sophisticated tool than Laura Owens’ silkscreen, but it allows him to cannibalize images from earlier installations and re-charge (or empty out) their now legendary status. Laura Owens intersects newspaper clippings with heavy brush marks, too disproportionally large to be mistaken for subjective expressivity; Pieter Schoolwerth’s elaborate process of making paintings incorporates studio photography, digital printing on canvas (with heavy distortions) and oil paint, almost like a ‘corrective’ gesture—the artist’s hand; Albert Oehlen’s computer pictures follow a similar logic—hybrids all in print and paint. 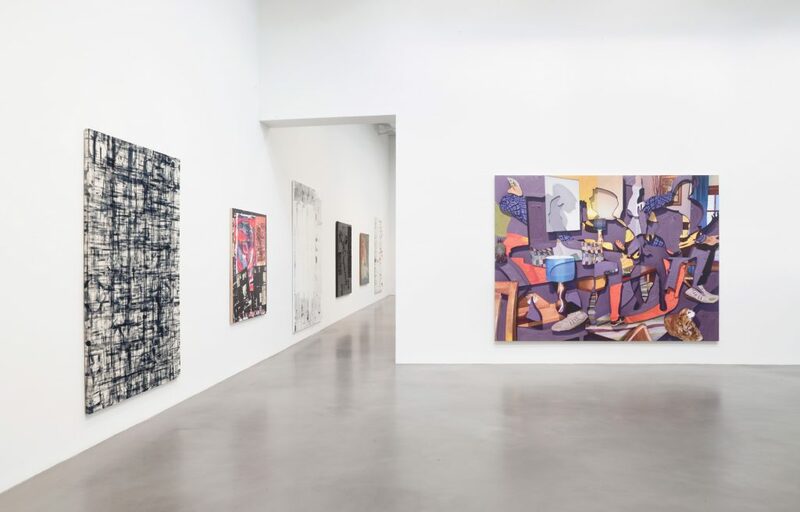 It would be as problematic to reduce these artists to mere agents in some conspiracy, as it would be ridiculous to blame de Kooning for generic abstract paintings in the 1950s and 1960s. Furthermore, abstraction in Cheyney Thompson’s work is not a genre in or for itself; his paintings address divisions of labor, time and the body as much as the fundamentally opposite, Heimo Zobernig, identifies the inherent theatricality of making paintings. Jorge Pardo takes his self-referential play to another extreme by attaching an iPad onto the surface that connects the viewer with his studio in Merida, Mexico. 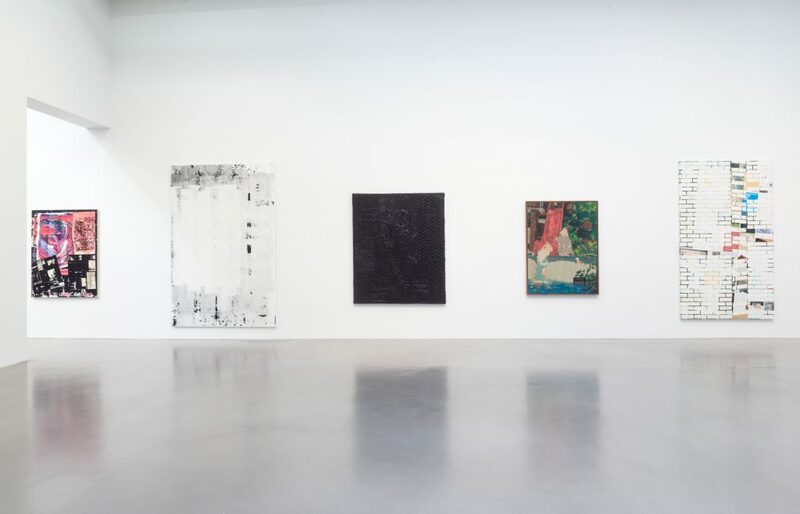 As divergent as these artists are (rarely exhibiting together), they engage the artifice of their paintings—all mechanisms, tools and attributes are laid bare in order to open up a relevant discourse on painting, abstract or representational, analog or digitally processed: what constitutes a painting today and how vital is that ‘painting-body’? 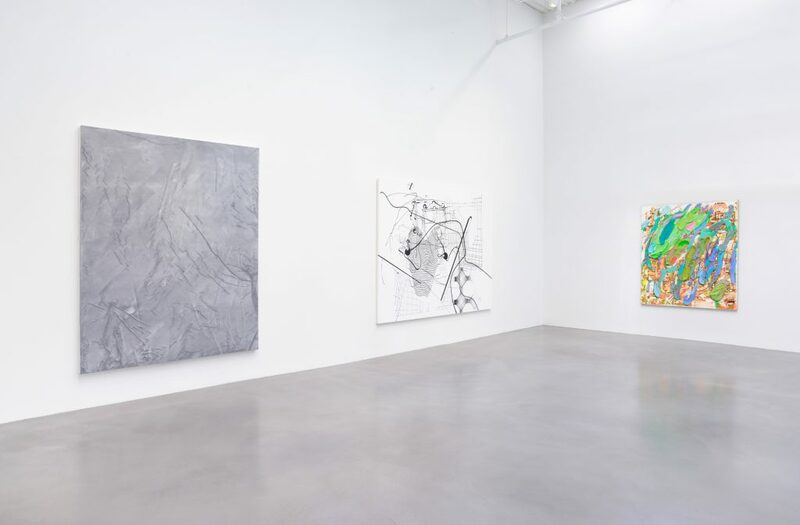 Participating artists: Walead Beshty; Wade Guyton; Jacqueline Humphries; Martin Kippenberger; Michael Krebber; Albert Oehlen; Laura Owens; Jorge Pardo; Seth Price; Pieter Schoolwerth; Josh Smith; Rudolf Stingel; Cheyney Thompson; Kelley Walker ; Christopher Wool; Heimo Zobernig. 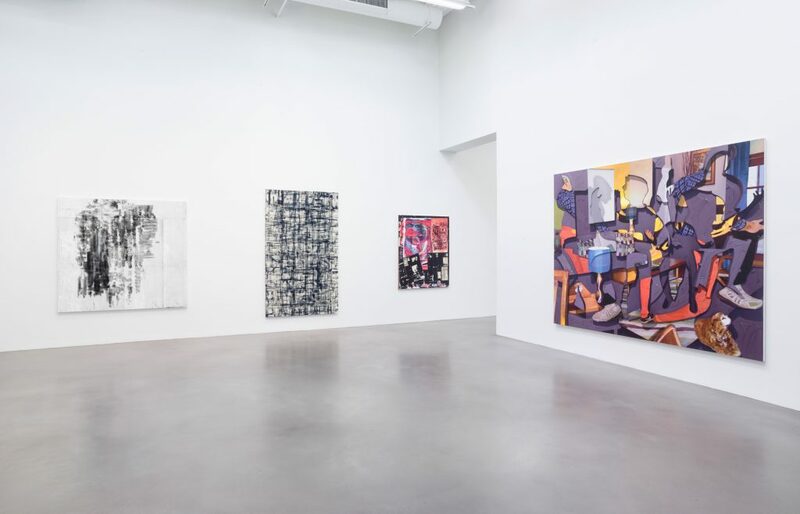 On view at Petzel Gallery, 456 West 18th Street. 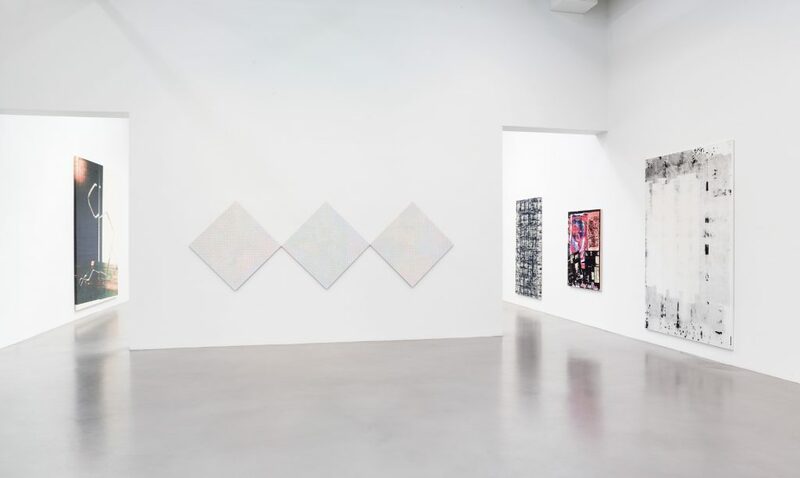 Fine Young Cannibals, Installation view, 2016. Courtesy of the artist and Petzel, New York.